Gideon Manning (ed. 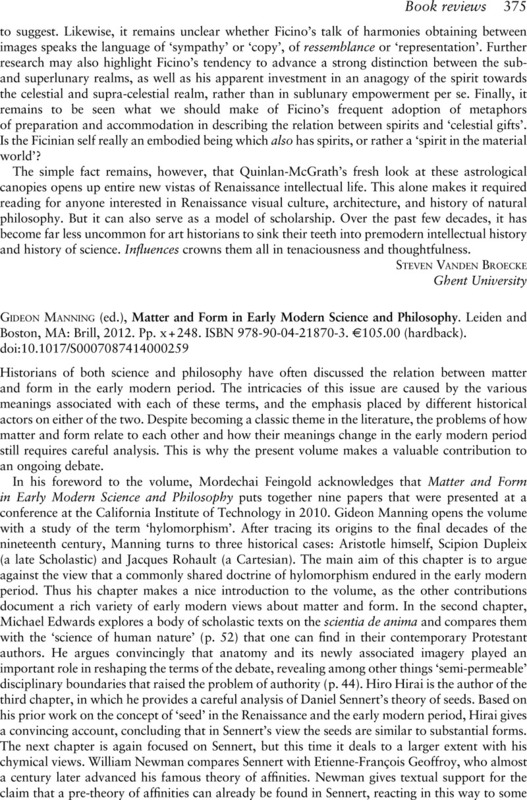 ), Matter and Form in Early Modern Science and Philosophy. Leidenand Boston, MA: Brill, 2012. Pp. x+248. ISBN 978-90-04-21870-3. €105.00 (hardback).